Mara is a scavenger and a smuggler, one who's clawed her way to the top. When she's approached by the Black Wraith Squadron and blackmailed into helping them rescue a captured pilot, she reluctantly agrees, knowing there's no other choice. What she doesn't expect is to get paired with one of the squadron's pilots. Great, now she has to spend the whole trip dealing with his contempt of her and what she does for a living. Imagine her shock when it turns out Mara's not the only one who clawed her way out of a hopeless past to make something of herself. Kell has secrets of his own, making her think they're not as different as she once thought. Him being hot as sin doesn't help any, especially in such close quarters. Before long they give in to their passion, both knowing it won't last past the end of the mission. But in Mara, Kell sees a kindred soul. Since joining the Black Wraith Squadron, he's thrown himself into his work, never letting anything stand between him and his job. After meeting her, though, he realizes how empty his life is. Will he be able to convince this scavenger to stay with him, or will her freedom be more important to her in the end? 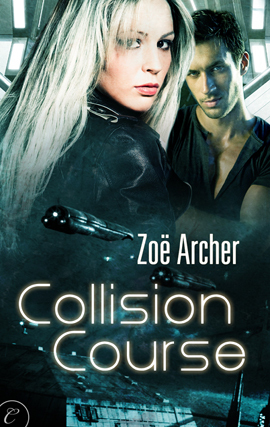 Collison Course has the perfect blend of romance, intrigue, danger, and of course, space battles. It's a short story of two people who are forced to work together, only to realize they're just different sides of the same coin. Mara is content with her life as a scavenger, and refuses to let anyone get close to her. Kell is a dedicated pilot in an elite squadron, one who doesn't let anything get in the way of his job. But both realize that maybe there's more to life than work, and having someone you trust at your back is a gift more precious than gold. 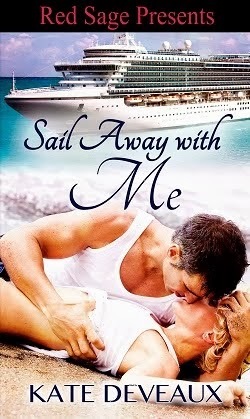 It's a great love story, with more than enough danger and overwhelming obstacles to make me read this book in one setting. I loved this story, and now that I've read this book by Zoe Archer, I'm going to try her Blades of the Rose series, which I've been eyeballing for a few months now.